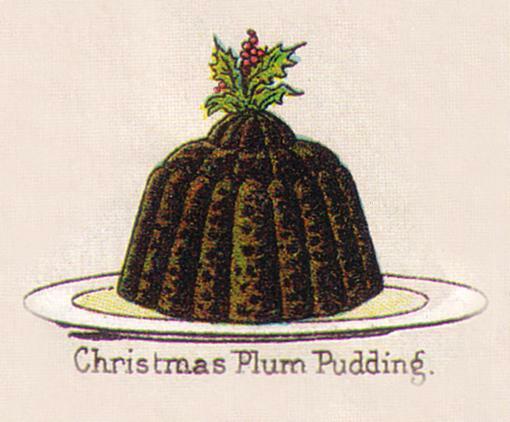 When I was a girl, for Christmas dinner mom served what she called “Plum Pudding“. She purchased it from the grocer. It was such a memorable treat that a few years ago, I thought I’d try to make my own. “No grocery store stuff for this gal!” I said with a sniff. The outcome was rich and sweet and yummy, but the work involved! That discovery was an epiphany of sorts. Sorry, Mom, I owe you an apology for being a pudding snob. 2 tsps. flour or cornstarch. Melt the butter and flour together, stir in the hot water, add the sugar and flavoring, cook until smooth and clear. 1/2 cup water or 1/2 tbsp. vinegar. Beat the white of the egg to a stiff froth; then gradually beat into it the powdered sugar and cornstarch. Next add the yolk of the egg and beat well. Pour upon this the cupful of boiling milk and place on the fire. Stir until it boils, then add the butter and vanilla. 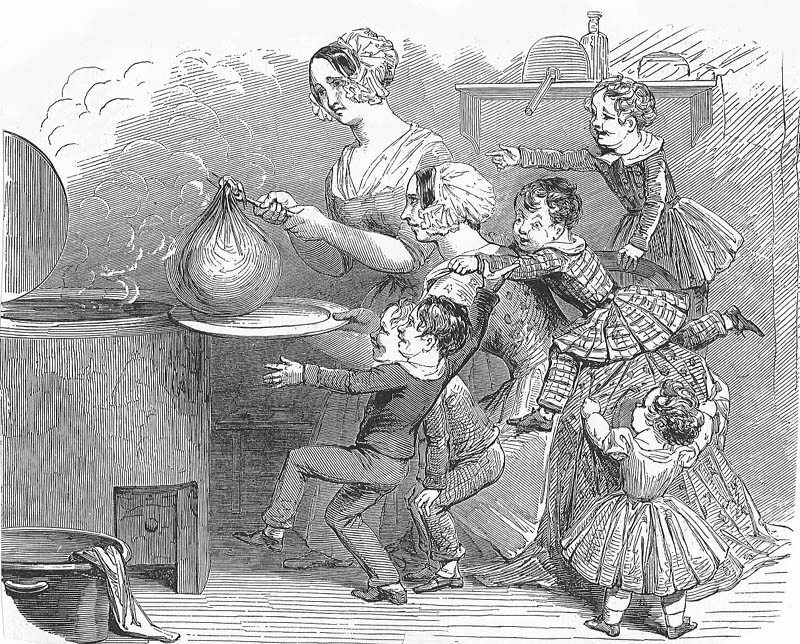 Beat the egg, add the cornstarch and sugar, stir them well together; add the boiling water gradually and stir over the fire until thick; add the butter, juice and grated rind of one lemon. Serve hot. Put the milk on to boil, beat the yolks and sugar till very light; add them to the boiling milk; stir over the fire until creamy. Have the whites beaten, pour over them the boiling mixture; beat thoroughly and serve at once. President School of Domestic Science, Hamilton.This Book may be used as a Text-Book in any High or Public School, if so ordered by a resolution of the Trustees. TORONTO:THE COPP, CLARK COMPANY, LIMITED,1898. Author Maggie WilsonPosted on November 28, 2014 Categories RecipesTags Adelaide Hunter Hoodless, Christmas pudding, Christmas recipes, dessert sauces, Federation of Women's Institutes Canada, FWIC, Little Red Book, puddings sauces, recipes, WI, Women Inspired.